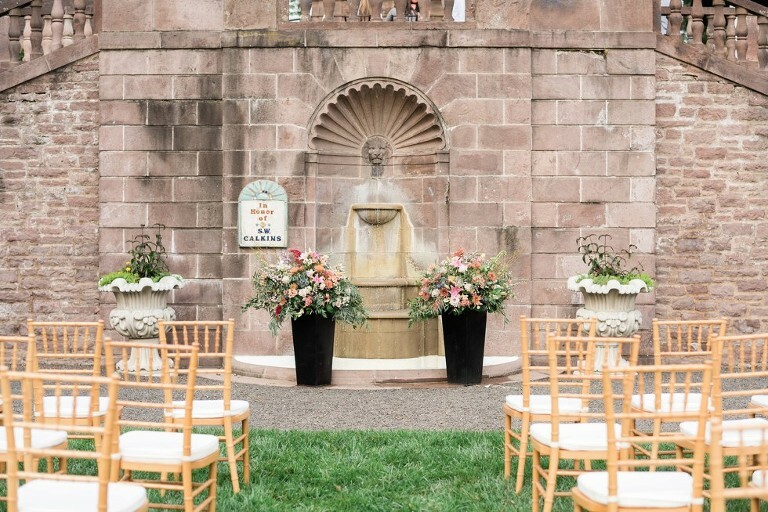 Brides and grooms planning their wedding in the Philadelphia area have recently gained a new wedding venue with amazing views! 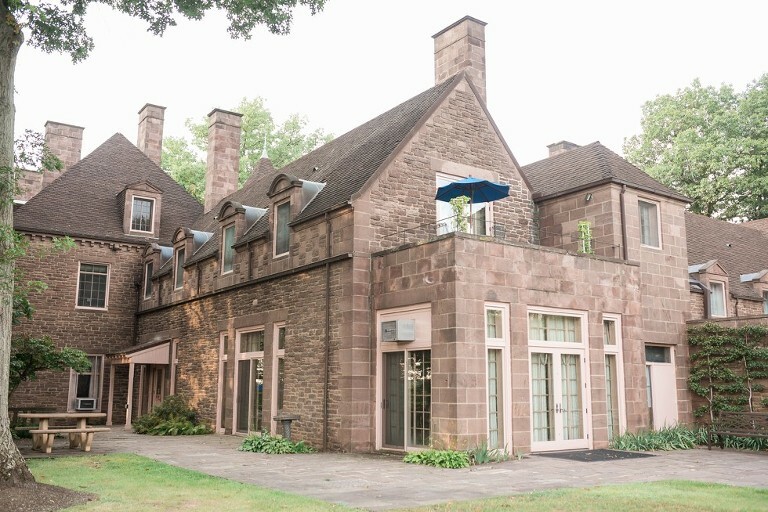 Tyler Gardens in Newtown, PA can accommodate up to 400 guests, includes a spacious reception tent rental, and is managed by Open Aire Affairs. You can even upgrade to a clear ceiling and have your reception under the stars! 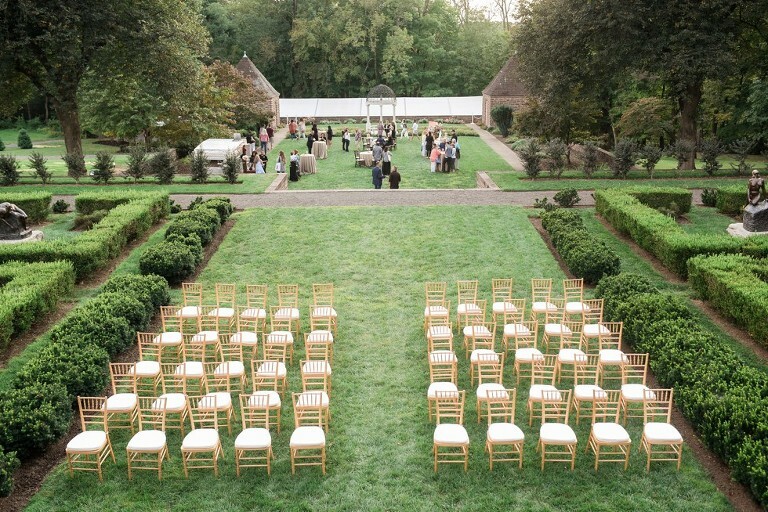 The views and scenery add so much beauty and elegance to the wedding experience at Tyler Gardens. 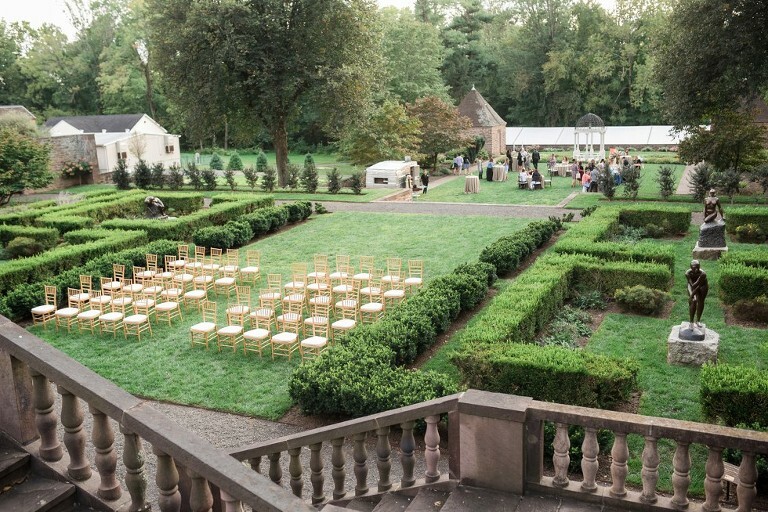 Ceremonies and receptions can overlook the lush gardens and landscaped grounds and each season offers its own charm and style. Autumn surrounds the venue in warm Fall tones. Spring brings bright, cheerful colors. Summer maintains the lush greens and colorful landscaping. Winter weddings have a unique style with moody tones and dramatic backgrounds. I love that couples can plan their wedding at Tyler Gardens with any romantic style in mind and get breathtaking wedding photos. What’s one interesting fact about Tyler Gardens? The Formal Gardens were constructed in 1931 by George F. and Stella Elkins Tyler to provide a formal landscape setting for their estate, Indian Council Rock. The four-tier Formal Gardens were influenced by French and Italian gardens and feature varieties of flora, beautiful lush lawns, dramatic stone walls and staircases, gravel walks, fountains, and bronze sculptures. Though we are not event stylists, but venue coordinators, we listen to each bride carefully and help them start their visions for the venue. A fun way we like to connect with the brides is getting a Pinterest board started. We also guide them on the next step they need to make. In addition, we also recommend upgrades that fit their tastes. Some great ones include farm tables, fire pits as well as fun paper lanterns. 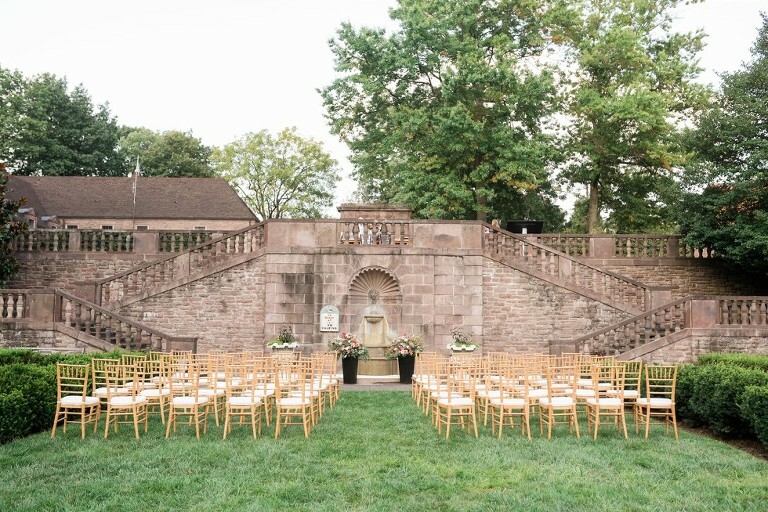 We have multiple weddings booked at Tyler Gardens and we look forward to keeping the Gardens alive and a special part of Bucks County and its history. How far out should a couple pay a deposit to secure your venue for her wedding day? Once a “soft hold” is placed with us, the bride has 2 weeks to review the contract and give the initial deposit of $2000. $4000 includes exclusive use of the gardens for 5 hours. We can add additional hours for a fee. The $35 per guest cost covers the tent rental, tables, chairs, restrooms as well as the bridal suite. There are so many beautiful areas for the ceremony, cocktail hour, and photos! What makes Tyler Gardens unique? There are so many things that set it aside from other venues. My favorite thing about it would have to be the history of the gardens and how wonderfully it has been preserved. Another wonderful feature of the venue, brides can all make it their own! Each tier of the gardens can be used in a unique way. There are so many beautiful areas for the ceremony, cocktail hour, and photos!